The movie starts with Dekisugi expressing his love to Shizuka which makes Nobita cry. 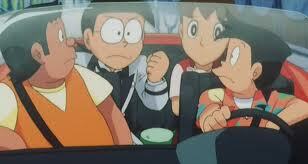 He goes to Doraemon, asking him to take him to the future to see if he and Shizuka will marry. Nobita and Doraemon travel to the future. When they arrive, they find out that they arrived on the day before the wedding. 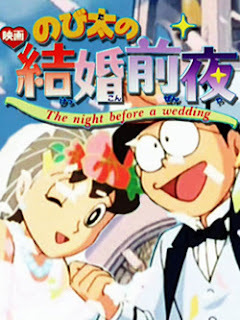 Future Nobita goes to a hotel and asks the place of marriage and he is answered that his marriage will held the next day. Nobita returns home where his parents inform him that Gian called him to his bachelor party. He goes to the party and after returning he remembers Doraemon and his childhood. All the time he is being followed by Nobita and Doraemon who were trying to return a lost cat to its owner. On the other hand Shizuka's mom advises her to go to sleep in preparation of the big day. At the end of the story, Shizuka's father has a long talk with the adult Shizuka over her choice to marry Nobita. Shizuka's father remembers her childhood days and, and gives his support for her decision. The story ends with Nobita marrying Shizuka.